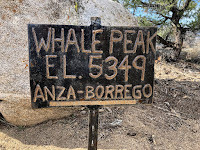 Today, I joined Adam (K6ARK), and Johnny on a hike up to Whale Peak (W6/SD-046 - Whale Peak). It’s in the Anza Borrego Desert as you drop down out of Julian. I was up at 5 AM and picked up Adam and Johnny at 6. My initial recon showed a trail leading up to the peak so no bushwhacking today. We parked at the 2-wheel drive location. I might have been able to make it two miles up the road in my AWD Highlander but there are two questionable areas that need just a touch more clearance on my vehicle. I’m sure a truck or a larger 4X4 could make it. We estimated you would need 8” and a touch more in just a couple of areas. My Highlander has 8”.... The temperature outside fet like about 35F, and it was rising rapidly as the sun peeked over the hills. 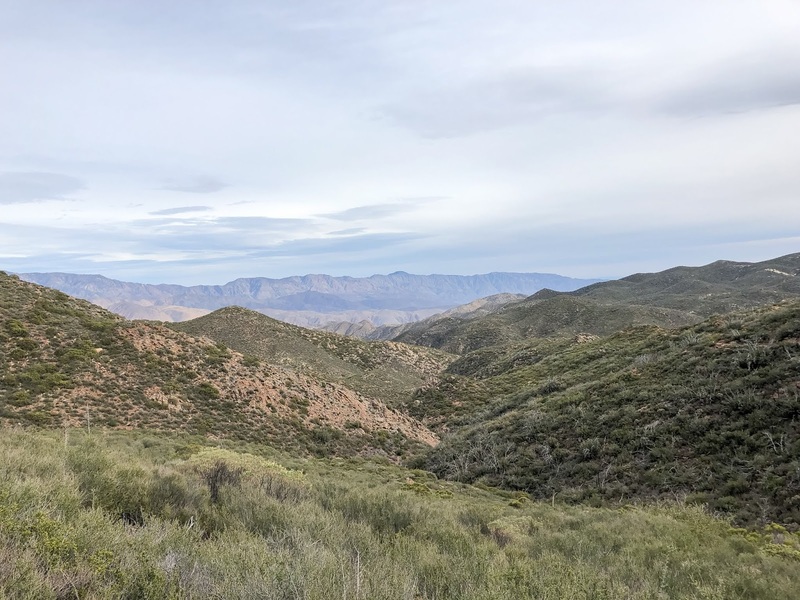 Today’s hike takes me out north north of Julian into the rugged hills just over the Riverside county line to Combs Peak (W6/SD-011 - Combs Peak). This peak is right off of the Pacific Crest Trail (PCT) and has a well used trail that breaks from the PCT and heads to the peak. The trail head that I used is at the intersection where the PCT crosses Lost Valley Road. Google will try to get you to the IAF (33.38157, -116.59513) via private property. I’ve marked the road with a waypoint and a small purple line so that you don’t miss the turn. Stay to the right when you get off the highway. It’s a pretty rough road but clear of big rocks and a small truck should do fine, my Highlander loved it. 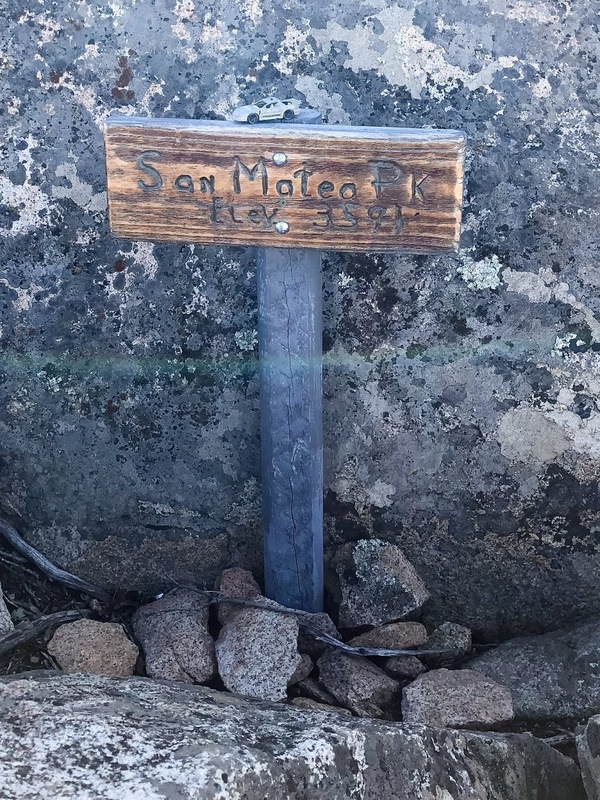 It’s easy to pass the PCT trail crossing but there is a marker and the Lost Valley Scouts placed a “Trail Angels” cool chest at the intersection. It looks like it had some water in it and some other stuff. 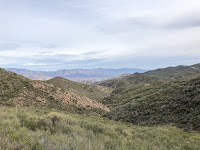 This week’s hike takes Adam and I to Hot Springs Mountain (SOTA peak W6/CD-010 - Hot Springs Mountain) which is north-east of my home next to Warner Springs on the Los Coyotes Indian Reservation. 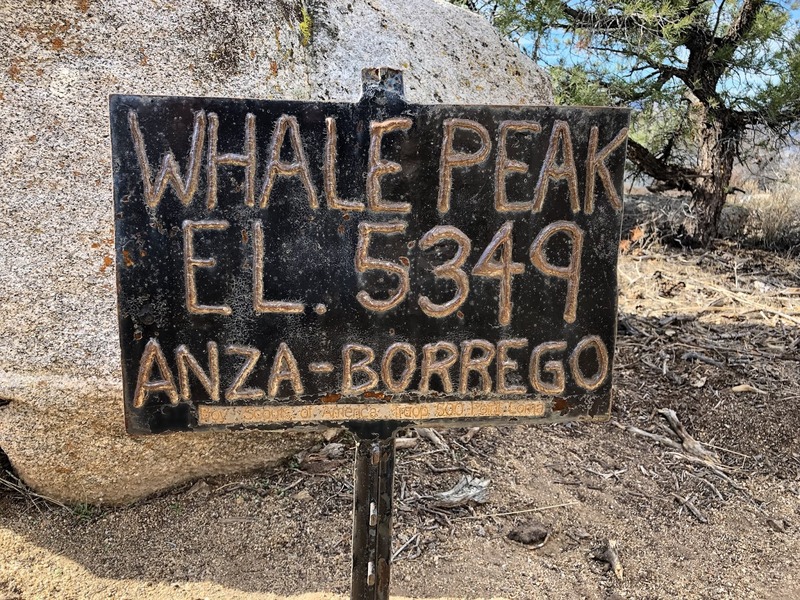 It’s the highest peak in San Diego County. 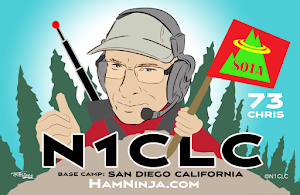 My buddy Adam, K6ARK, pinged me this week and asked if I wanted to join him on this small adventure. I was all in. It was a toss up between this mountain and Whale Peak. Both had the same distance but because Hot Springs Mountain is above 6,500 feet, it qualifies for a 3 point bonus. The bonus clinched the decision and the choice was locked in. I picked Adam up in Ramona at 7:30 this morning and it was an easy road trip up to the IAF. We did stop at the small ranger station. We are on the Los Coyotes Indian Reservation and they ask that you check in and pay a nominal fee to use the area. 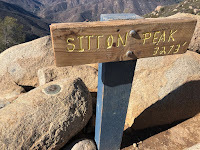 Today’s hike took me to San Mateo Peak (W6/CT-268 - Elsinore Mountains (HP)). 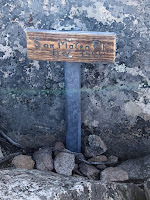 My primary objective was Santiago Peak but the gate was closed a few miles into it. I meant to call the forest service about access yesterday and I forgot. If I would get within 5 miles of the peak, I could do that one and Trabuco Peak since I was coming up the north side. Unfortunately I was 10 miles away when I got to the gate and I’m not doing a 20+ mile hike.. I had marked the starting point San Mateo that was pretty close but had to use the alternate starting point as the other (closer) trailhead was behind a gated community. The alternate trail (charted HERE) wasn’t far and the out and back should be 4.5 miles if you don’t screwup. As you can see from my track HERE, I added an additional mile by not paying attention. 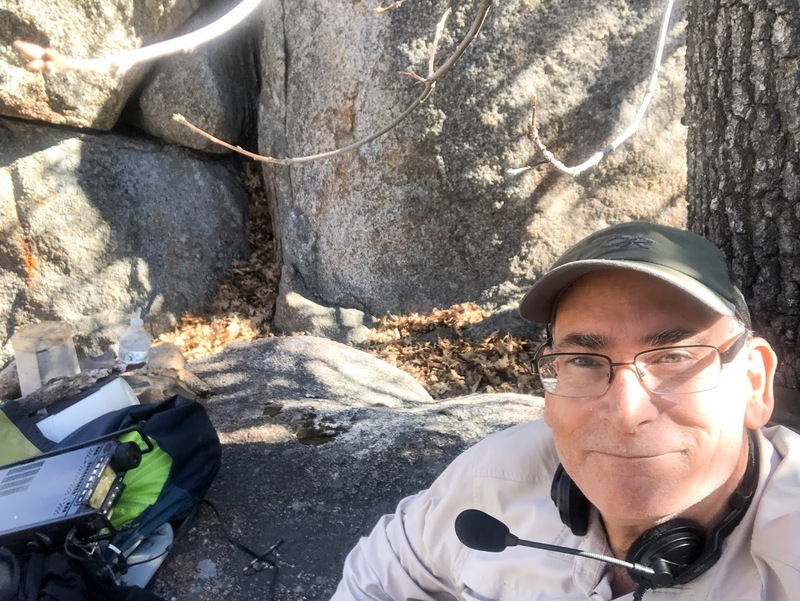 On the way up, I was enjoying scenery, and thinking about the recent mountain lion sighting in the area I was in as well as enjoying the nice trail. When I decided to look at my chart on my phone, I noticed I missed the turn by about a half mile. On my return from the peak, I ran into a couple of ladies riding their horses and I just assumed they were riding back to the trailhead so I followed them... then I realized they were heading back to the community a couple miles south so that was another little detour. Today’s navigation failures conspired to get me to hike 5.7 miles. No big one. Today’ objective was to be a quick hike up to Los Pinos Peak, Trabuco Peak, Santiago Peak, and then possibly Modjeska Peak. I figured I could get at-least two. The hikes from the road were pretty short so I could have done all 4 if I didn’t run out of daylight. Unfortunately, the recent fires had other plans. There was a gate on the road into the area of planned operations that was CLOSED and locked. The road had some damage and they were trying to figure out what to do with some of the burn area I guess. That left me with a 10 mile out and back just to Los Pinos. Trying to make any more than that up that road was out of the question for me.